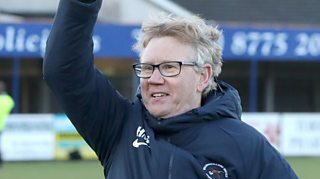 Manager Harry McConkey says Ballinamallard United's run to the Irish Cup semi-finals run has put smiles back on the fans' faces after last season's relegation to the Championship. The Mallards shocked top-flight Dungannon Swifts in the quarter-finals to set up a last-four encounter against Warrenpoint Town on Saturday. 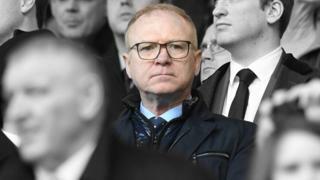 If Ballinamallard can cause another surprise at Mourneview Park, they will face either holders Coleraine or Crusaders in the club's first ever Irish Cup final.